As the years tick by it’s getting harder and harder to find places to ride motorcycles easily and legally, especially for kids and those of us who are just getting into the sport and don’t want to travel to the ends of the earth to ride a bike. OSET has recognised these issues and set about making an alternative that may not be completely green, but is at least inconspicuous by its stealth. 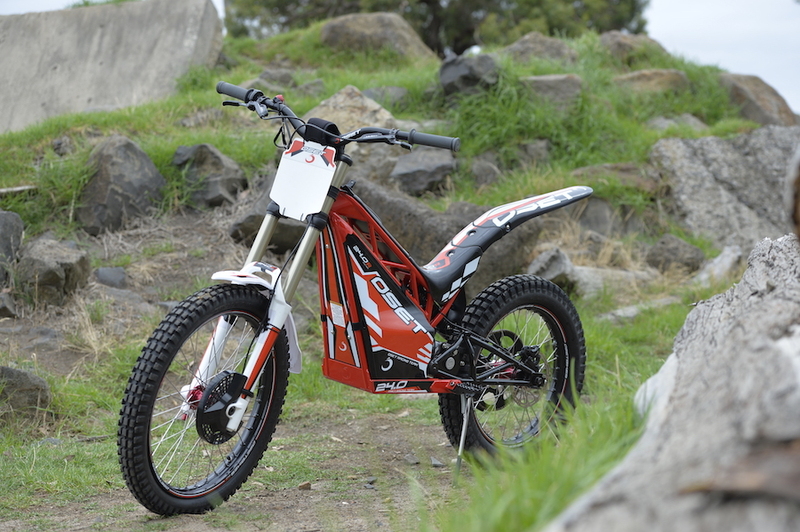 In 2004 Ian Smith showed serious vision to produce a light yet robust electric trials bike for his son, and it created a new niche market. 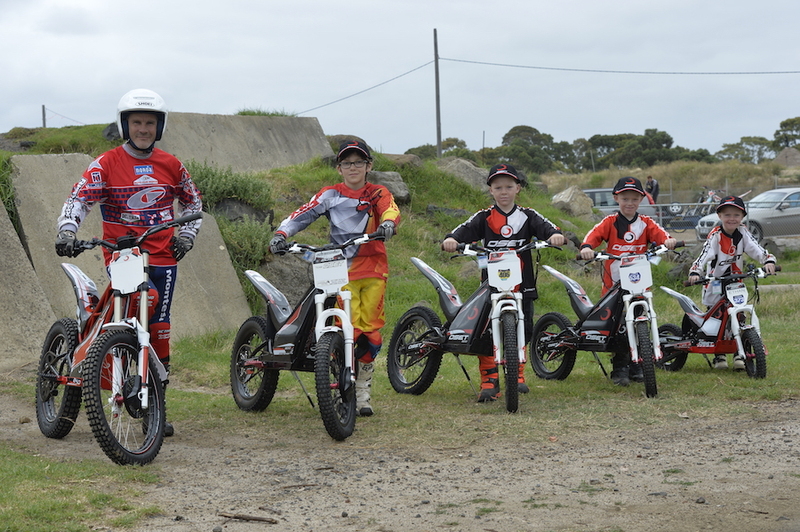 In fact, the OSET philosophy since those early days ticks a lot of boxes when it comes to giving juniors and beginners a fuss-free way to enjoy riding bikes. 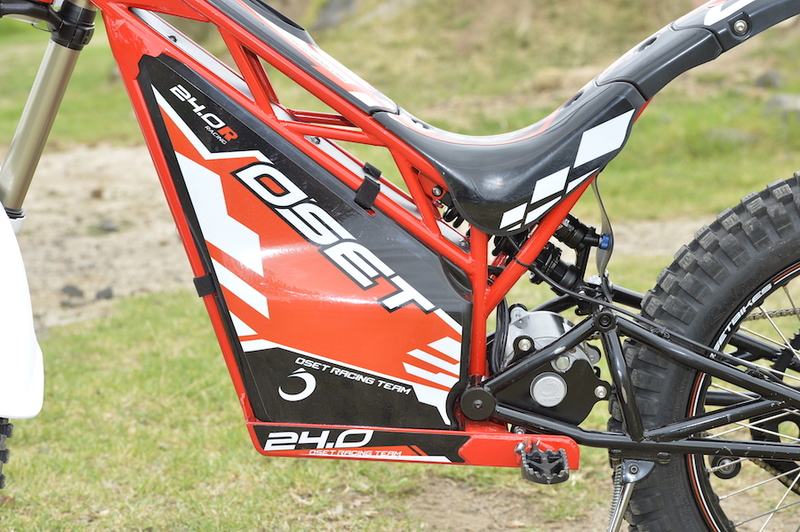 OSET makes four general models of electric motorcycles with different variants made for riders of nearly all ages – from three-years-olds to adults. New for 2017 is the biggest OSET ever: the 24.0. It comes in a couple of variants – the Racing and the Junior. 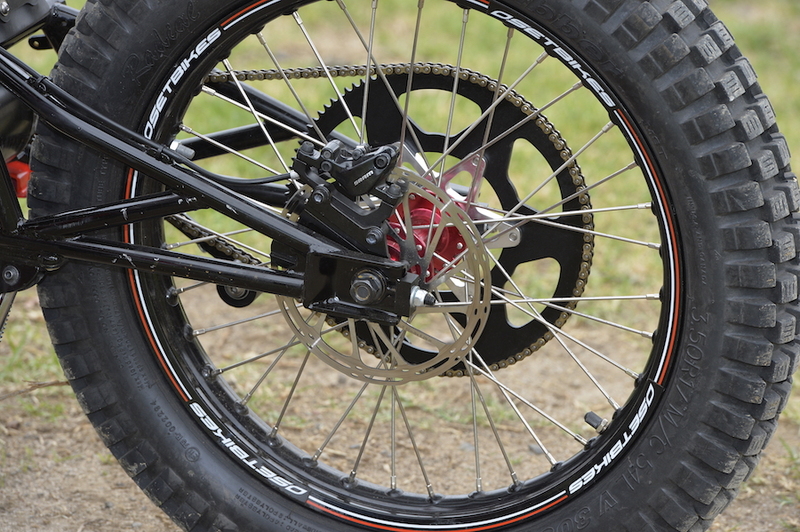 The main difference between the two models are the wheel sizes. 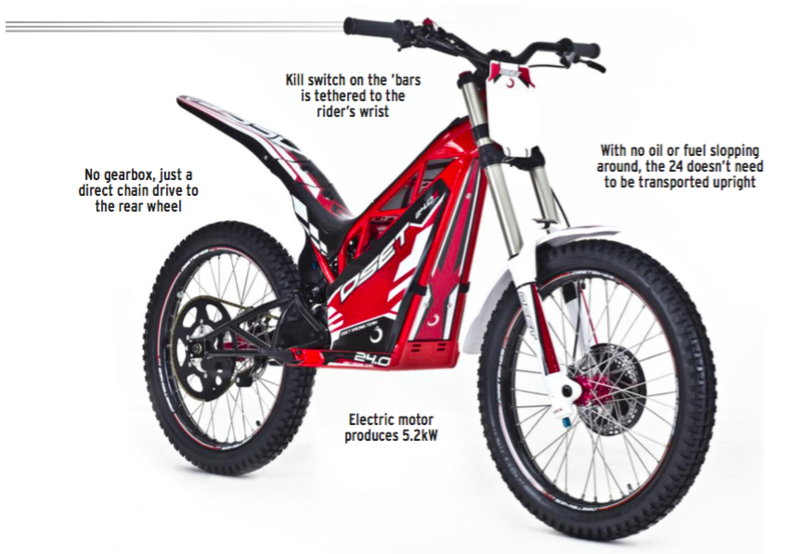 The Racing model is aimed at fun trail-type riding with narrower rims and 19-inch wheels; the Junior is the bike we have on test and is Trials competition based with a deeper profile rear tyre and 19-inch/17-inch wheels at front and back respectively. The ‘24’ Junior is a mixture of mountain bike and motorbike parts that come together to make a very light and nimble package. 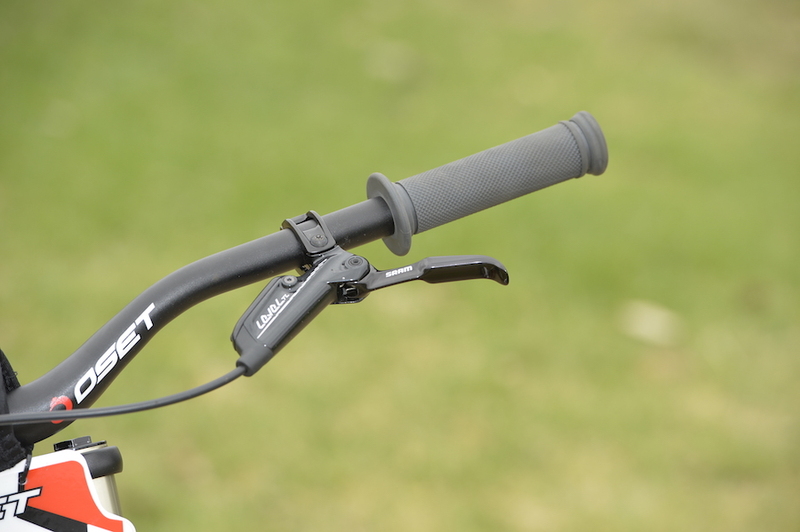 It’s got fully adjustable mountain bike suspension and even SRAM mountain bike hydraulic brakes. There is no clutch to contend with, and a direct drive from the electric motor to the rear wheel negates the need for a gearbox. All you need to do to make this bike go is fit the lanyard over your wrist, turn the key to ‘on’ and then twist the throttle. The power delivery settings are completely controllable, meaning you can set the bike up so it can tootle along at snail’s pace or turn it up and spin, jump and wheelie your way to fun. The power settings, however, are more than just one knob dialling the power up or down. There are three controls to play with: throttle response; power available; and top speed. 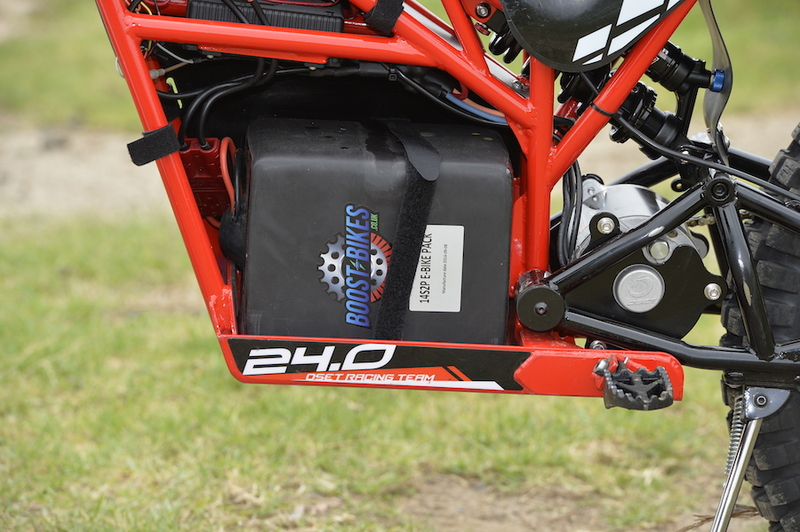 The knobs are easy to access, being up where the fuel tank would normally be, and it was definitely a lot of fun changing the power characteristics for every obstacle. The suspension is surprisingly good, absorbing bumps and drop-offs with ease – more like a motorcycle than a mountain bike. If it’s flicking, bouncing and hopping you’re into, this OSET makes you look like a pro. Weighing just 51kg makes world championship trials moves almost seem normal. The hardest thing was getting used to the lack of a clutch. 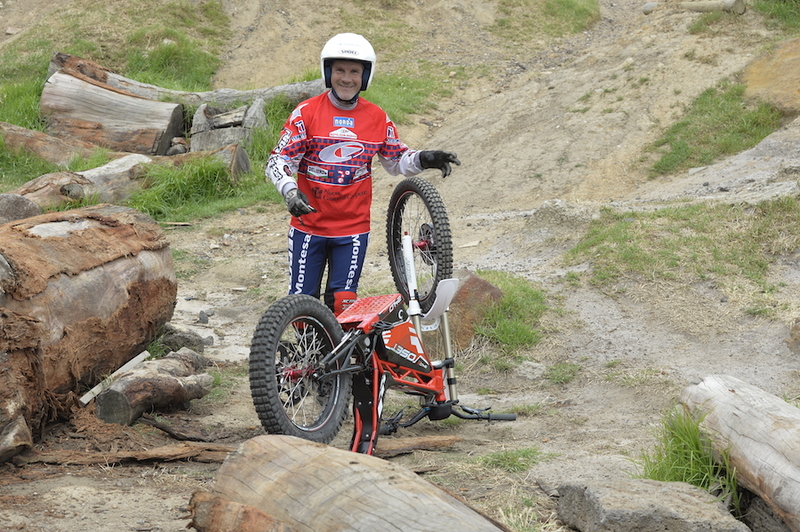 Initially I found I was blipping the throttle at the wrong moments, but the more I rode it the more I learnt the system. The other strange aspect is the lack of noise from the electric motor, though that at least makes it easier to pinpoint the hecklers on the sidelines. One consideration when buying an electric motorcycle is how far it will go before it runs out of steam. And that’s a Catch 22 question because it really depends on how you ride it. If you set off down a track flat-out for a couple of hours you are probably going to have a long push home. 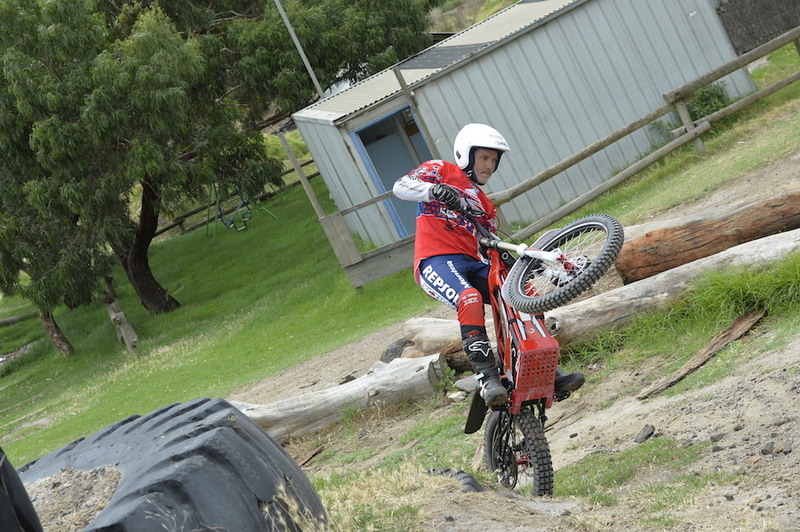 But riding at trials speeds and mucking around on the bike at the Oakleigh Trials Club grounds for a couple of hours like I did used less than half the battery power. I’m sure I would have worn out before it did. Charging takes up to four hours, so it would normally be done overnight. You can buy a spare battery pack if you’re keen, and they’re easy to swap, but at $1600 you might have to think twice. At the end of my short experience I was impressed with the 24. It really does fill a lot of gaps that normal internal-combustion motorbikes leave open. I only wish I could turn back time – if I was a kid, this would be the ultimate first bike.